Raises the cetane number of diesel fuel up to seven points for maximum horsepower, increased fuel economy and easier starts in all diesel engines. AMSOIL Diesel Cetane Boost makes no sacrifices; it is purpose-built for diesel owners who demand maximum results. AMSOIL Diesel Cetane Boost (ACB) raises the cetane number of diesel fuel up to seven points for maximum horsepower, increased fuel economy and easier starts in all diesel engines. Diesel engines operate best on fuel with cetane values of 50 or higher. Most diesel fuel sold in North America has a cetane value of 40-45. Diesel Cetane Boost delivers confidence in your diesel's performance. Its concentrated formula uses unique chemistry to target and eliminate specific performance issues, maximizing diesel power. AMSOIL Diesel Cetane Boost makes no sacrifices; it is purpose-built for diesel owners who demand maximum results. Fuel with a higher cetane number provides for a more complete burn, resulting in improved performance. By increasing cetane, AMSOIL Diesel Cetane Boost improves the ignition quality of diesel fuel, maximizing available power and improving starting. It also smooths idle and reduces smoke and emissions. Diesel Cetane Boost is recommended for use in all types of heavy- and light-duty, on-and off-road and marine diesel engines. Best performance is achieved when used with every tank of fuel. Excellent for use with ultra-low-sulfur diesel fuel (ULSD). Compatible with biodiesel and all types of exhaust emission systems, including diesel particulate filters (DPFs). Follow the chart below. Add before filling tank. Excellent for use with AMSOIL Diesel Injector Clean and AMSOIL Diesel Cold Flow. This product is not expected to cause health concerns when used for the intended application and according to the recommendations in the Material Safety Data Sheet (MSDS). 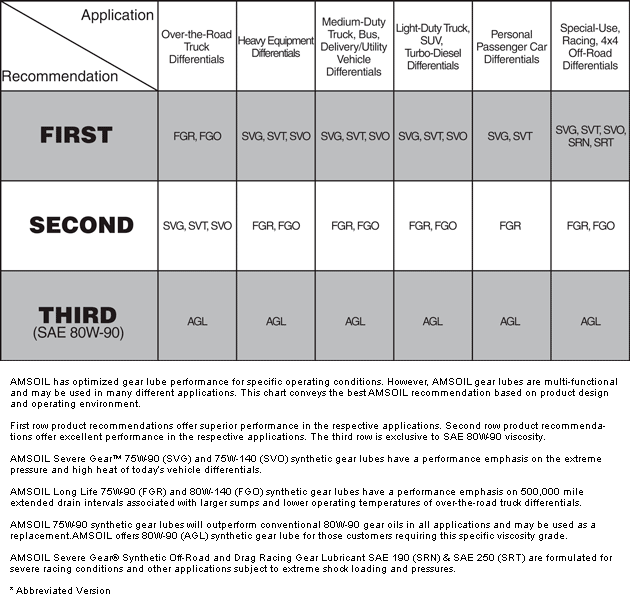 Click here to view the MSDS Data Sheet for AMSOIL ACB. Keep out of the reach of children. Don't pollute. Return used oil to collection centers. Did this product meet your expectations? Votes & Reviews: 116 vote(s) and 95 user reviews. i CAN ACTUALLY FEEL A DIFFERENCE IN EXCELERATION THE FIRST TIME I USED CETANE BOOST. Although Diesel Cetane Boost adds to my overall fuel costs, the added cost pays for itself in increased fuel mileage. Without the additive, my fuel costs are definitely higher. I also get increased power. So its a no brainer! better fuel mileage and more power for less money. A diesel mechanic told me that I wasn't burning all of my fuel due to the lower cetane in standard fuel and that I needed a cetane booster. I now get a little better MPG and even a little better response from the throttle. Diesel Cars. Thankyou Amsoil for being here for us some 48 Years. Keep up the Good Work! Going to continue using amsoil cetane. Increases hp of my truck, and great product for diesel engine. Would absolutely buy this product again! Great stuff! I recommend it to everyone I know! Always noticed 2 to 3 mpg gain at every fill up. Great all-around throttle response, even when towing and plowing! i put the recommended amounts in and run it every tank. Overall improved performance of my 6.7 Cummins. If you want results you need to be consistent in using the product. I like the fact that Cetane Boost is also cleaning injectors = you are killing two birds w/ one stone! Could not tell any difference with first time use. Could not tell any difference on second or third tank full. Great product, run it in every full tank. Can feel power difference and see better fuel mileage. I put about 3 oz per 25 gal fill up. Ensures easier starts and better power. Diesel fuel is made like regular gas meeting minimum requirements with a Cetane number of 40. In comparison like the same power as 86 octane in Gasoline. Simply minimal. It works the same as all of the competitors but is twice the price. As an o/o price means everything. I bought my 2012 Ford F350 used with 80,000 miles and this is the first Diesel vehicle I have personally purchased. However it is not my only experience with Diesel trucks. For 20 years I used diesel trucks Light and Medium Duty as part of my job with the Federal Department of Justice communications division. The vehicles that we were able to personally service due to them being on remote work sites we were able to make last much longer, and they were far more dependable. I believe this was because we only used Amsoil fluids in them. Yes all the various products that Amsoil manufactures for them. We were even able to make the inadequate Ford 6.4 turbo diesel last in 3 vehicles when we found out the biggest problem with them was that the coolant degrading led to turbo charger and major engine failure the majority of the time. 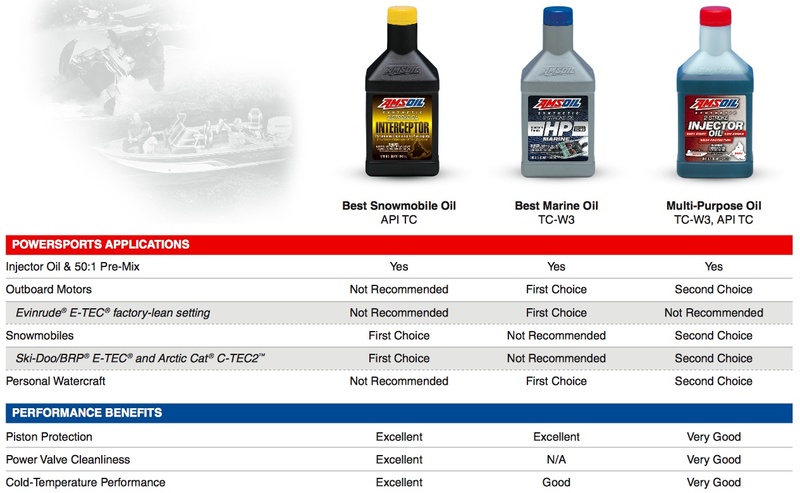 When comparing the available coolant products I found that Amsoil had developed a specific formula for diesel powered vehicles we purchased it. It extended the turbo life and prevented the documented damage due to coolant deterioration. Your automatic transmission fluid was the same as well, I believe it extends the life of the transmission as a result of it specific engineered formula. I only use the signature series products as I use my trucks to do a significant amount of towing and hauling. I have utility, and stock trailers, as well as a large 5th wheel RV that is towed frequently with my current 2012 Ford. I also find the long life of the oil filters are a great asset as well. I know using Amsoil products have increased the life of the vehicles I have used in the past and am confident that it is going to increase the life of the one that I now own. Also I now have converted all my other gas powered vehicles to Amsoil products as well and I am very happy with that performance as well. I drive a 2015 VW Golf Sportwagen TDI. Adding 2 oz of the Cetaine Boost at every fill up keeps my average mpg around 40 and close to 50 mpg at 75 mph on the interstate. Great product! I can really feel the difference after adding this boost when I fuel my truck! I run 48 states. My CAT C15 accert loves it! I feel more power and smoother running engine! I would buy over and over again! I use this at just about every fill up. I trust and oil products they're made with high-quality materials and will continue to use them for as long as I own my vehicles the cetane boost for my diesel truck works as advertised. This was my first time using this product from AMSOIL, but I definitely will continue to use it going forward as it has helped tremendously overall with my trucks all around operation in regards to it's fuel system. I have noticed that fuel economy has improved also along with fuel conditioning and just in my honest opinion, this is an all around great product! I run this in my 2001 F350! I feel like it helped performance & fuel mileage! Used this on a trip pulling a fifth wheel didn't bring enough for the trip noticed less power without it, won't pull without it. I use full strength when towing 16,000 lb fifthwheel.Always without trailer i use half strength.Truck runs so good with the amsoil additive. Do you drive a Ford? Ford recommends No.1 diesel (47 Cetane) for their diesel lineup. That fuel is not available in most southern states and considerably more expensive where it can be found. Bio-diesel is showing up more often, sometimes as your only choice for fuel. My F250 with the 6.4 liter diesel suffers both in performance and economy burning 40 Cetane or bio-diesel. I've used off-the-shelf Cetane boosts with moderate success, but since using Amsoil Cetane Boost, my engine run smoother, quieter, and delivers a near 20% increase in fuel economy. To date (and miles), I have not suffered the fuel delivery woes so many other Ford diesel owners have suffered. Is it due to utilizing Amsoil products? Most likely. Been using this product for 36 yrs.The product works excellent. AMSOIL's cetane boost seems to have improved mileage slightly. I have a 2013 Chevy 2500 with 6.6L LML duramax engine. The engine seems to start easier and run a lot smoother with use of AMSOIL's Cetane boost and the injector cleaner. I will continue to use this product. Another Amsoil product that I trust! I have been running this in my newer MB Sprinter van. The MB diesels are very finicky when it comes to cetane level, which is usually low at most pumps. I have not had any emissions problems since running the Diesel Cetane Boost. I simply trust Amsoil products. This product helps with my fuel economy and make a my truck feel much better. The cetane boost does give the truck a sure boost. I use at each fill up as per the instructions on the bottle with no issues. Using this does make the truck sound much quieter and easier starts in the cold weather. As advertised I have increased my mileage by 2miles per gallon. BEST I HAVE EVER USED TRUCK HAS MORE POWER ! I have a programmer in my 7.3, but the biggest kick I get is from Amsoil Cetane Boost. I pull a camp trailer and double a SxS trailer. Noticeable difference in power with Cetane additive. I use it in my 09 f250 to keep it running top notch and boost my mpg. I use it as recommended and it works great! Help with fuel milage and performance will continue to use. Product seems to give a little bump in power and mileage. This product does assist not only with Horse power but also helps to increase fuel mileage. It may seem expensive but in the long run it makes up for its cost. I just used this for a trip from WV to Alaska and going through all the mountains I still was averaging about 17 miles a gallon. It's works great. I keep it in my truck all the time. Especially when I'm towing. I tried one bottle a couple months ago and then tried a few other similar products and the Amsoil Cetane Boost was the only one that made a significant diferance. It works great increase my mileage 4miles per gal. I mainly use the diesel injector for my fuel oil boiler. Each time I get fuel oil I put 1 or 2 bottles in. My service tech says my nozzles are cleaner and my filter has less sludge and sulfur build up now. Used as a full doesage to add 7 points with winter diesel for my 7.3 over the winter here in Michigan. Noticed about 1mpg increase with a noticeable throttle response improvement. Not a miracle product that gains 5 mpg and 50 hp. But works as advertised. I have been using the Cetane Boost for 8 months. I have noticed better mileage on the freeway gaining about 1-2 miles per gallon and noticing improved acceleration. I use the product in my 2009 DirtyMax. I recommend the AMSOIL Cetane Boost. 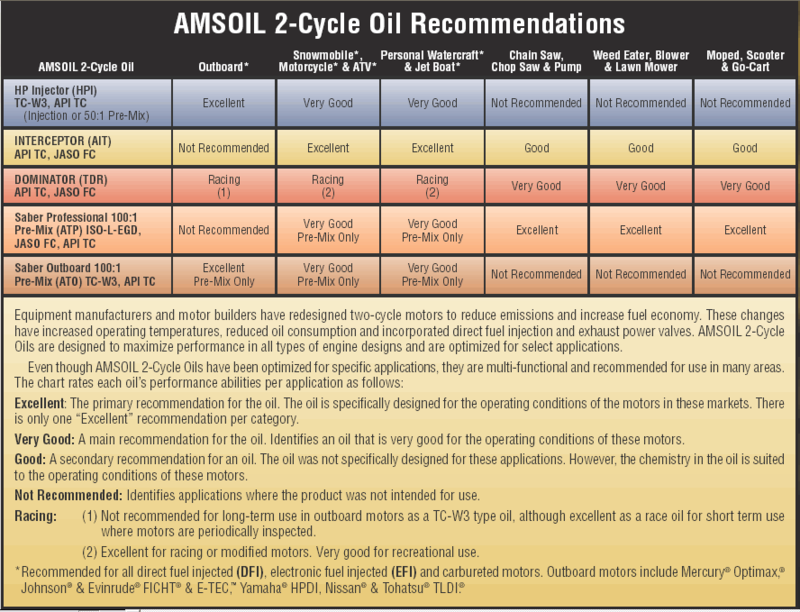 Will continue to use nothing but all Amsoil products in our equipment. I drive a 2009 F550. My exhaust cleaning had been driving me crazy with how frequent the cleaning took place. After starting the treatment my exhaust cleaning happens much less frequent and for shorter duration. I dabble very close to the recommended amount at every fuel stop. AMSOIL products have a great reputation, I will continue using, to lengthen service life of injectors and injector pump. My diesel doesn't gel/freeze up and it doesn't smoke after starting after using this in every tank full . The cold/boost Fluid is the best in my opion for diesel fuel engines. Always notice the difference runs much better with it !! Great Product, reduced injector noise, idle quality is noticeably smoother, you can defently notice the difference when you forget to add to your fuel tank. I used this on an older truck '94 Ford F350 7.3 turbo. I did not like the anti gel properties. The injector clean was good but the anti gel did not work like m old product. I just started using diesel clean and cold flow for the first time, as the weather turned much colder hear in NH. I am pleased with the results so far in that I've noticed an immediate improvement in throttle response, no lag after a brief warmup, and no hesitation to start. I'm using this in my 07 Chevy 2500 DMAX. Will continue to monitor mileage and response. I like what I see and feel so far. Excellent way to add extra Getty up. I used cetane boost for 17 seasons in my Yanmar 420 hp Marine diesels. After 38,000 nautical miles the engines hit all performance benchmarks as if new. When we sold the boat the engine survey only found a leaking gasket. I use this product in my pickup for every tank. I even have found it to work well in my tractor also. Use this product mainly in Winter months to help support winter Diesel fuel. Works great. I will continue to buy it. It seems to make a big difference when I run it. I live in the mountains of New Hampshire and in the winter I need to know my tractor will start so I can remove tons of snow .I have never had a problem since I have been using this Great Amsoil product. I buy this product year around. I use this product in the fuel of my diesel truck. Works great even in the COLD!!! I use this at every time I fuel up and helps me overcome the B20 fuel that is the only diesel fuel in my area. I like the Cetane Boost it gives me noticeable extra power when it comes to towing. My Kubota tractor would always bog down in heavy snow and now it walks right through it. I highly recommend this product. I am using this product in 2 older diesel engines, a 1984 Toyota Landcruiser 3B diesel with 520,000 km and a 1992 Dodge with a 5.9 ltr Cummins with 230,000 km. Mixing for a 7 point increase has given the Toyota a "seat of the pants" felt increase in power with overall fuel mileage up 1 mpg. The Dodge always had good power but with a 7 point increase mix I have gained a gear on hills and overall mileage is up 1.5 mpg. all while moving 5.5 tons of truck and load. Overall I am very satisfied with the product. If you value your diesel, don't hesitate to buy. Vehicle: 2008 Ford F-250 XLT 4X4; 6.4L diesel. Work and play. 105k miles. A new engine runs about $17K. I believe in ultimate lifespan (500K miles) and I use Amsoil products to achieve that goal. The Cetane Boost delivers both a smooth and more efficient power, plus improved mileage. Ford recommends No.1 diesel fuel, but that is not available where I live. Cetane Boost brings my engine to the performance level I did not receive factory new. Does it add to the cost of operation, yep, but you get what you pay for. Remember that $17K mentioned earlier? You can buy a lot of engine care for a fraction of a new engine. Receive wholesale price list in your email.